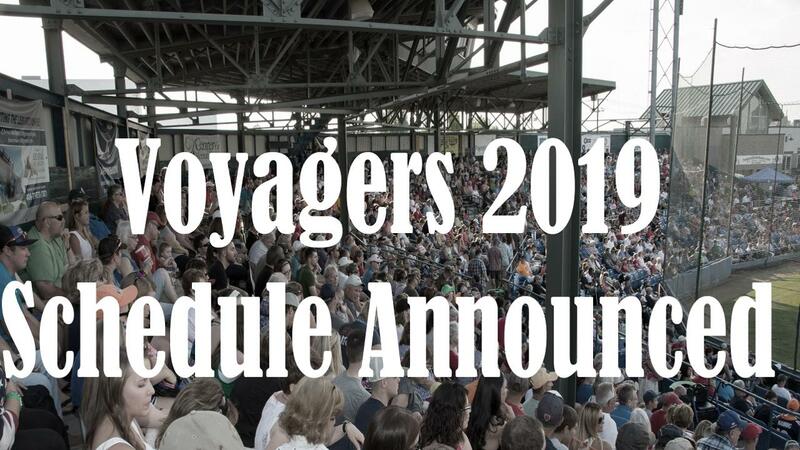 The Great Falls Voyagers and the Pioneer Baseball League have announced their schedule for the 2019 season. 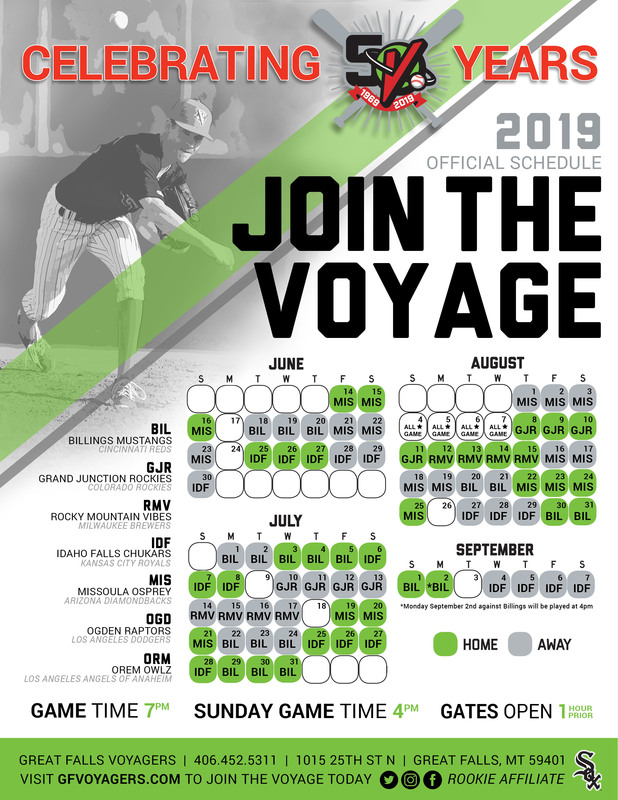 The Voyagers will start the 2019 season at home for the second straight year on Friday, June 14, which starts a three game home stand to begin the season. Other notable dates throughout the season include July 4th with post-game fireworks, and the first time that the currently un-named new team from Colorado Springs visits town on Monday, August 12. The Voyagers regular season ends on Labor Day, Monday, September 2 with a special 4:00 p.m. game time. Normal game times will be 7:00 p.m. Monday-Saturday and 4:00 p.m. on Sunday's. Season tickets, 10-packs and group outings for the 2019 season are currently on-sale. For more information, please call our office at 406-452-5311. To see our 2019 schedule, please click here.